So you're engaged...now what?! You've announced it to all of your friends and family, officially changed your Facebook status, and had a huge party to celebrate with all your loved ones, but what comes next? Thinking about a budget and the guest list and the venue and the catering and the cake and the invitations is starting make your head spin, am I right?! DESIGN YOUR WEDDING DAY THE FREE-SPIRITED WAY! This wedding planner printable is for newly engaged couples and/or brides ready to begin planning their wedding day with ease. 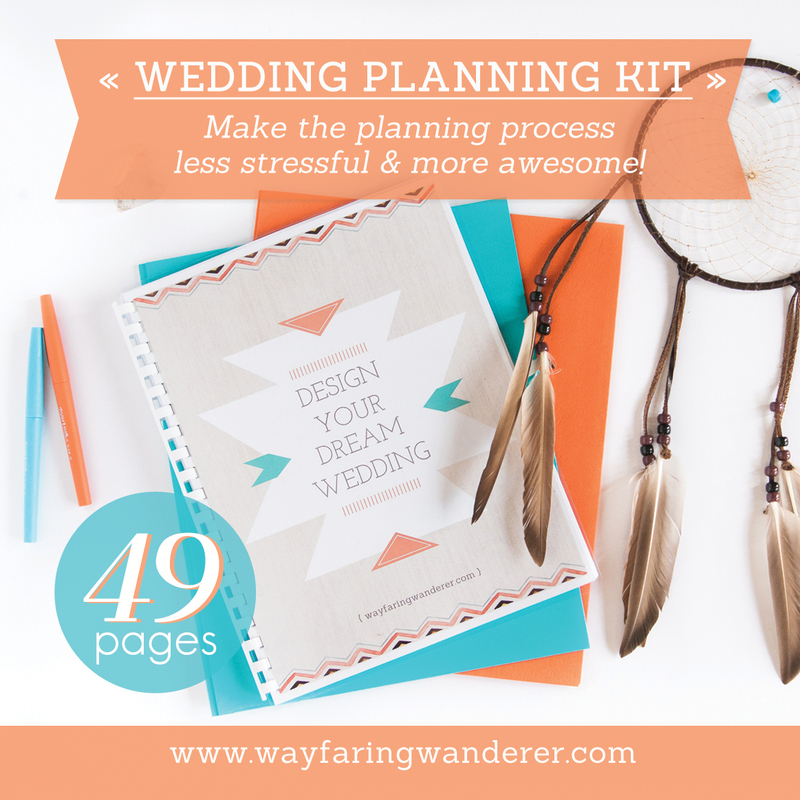 It's a guide to help make planning the perfect wedding less stressful and more awesome! What is the Design Your Dream Wedding Planning Kit? Maybe you don't know exactly what you want to include or omit from your wedding day, and that's OK. These worksheets and planning pages can help you figure all that out. There are a lot of details that can get glossed over because they aren't as fun as others, but it's up to you to prioritize what gets your attention so that forgotten tasks don't sneak up on you later and stress you out. The "Design Your Dream Wedding" Planner is available to help you put an end to the overwhelm! And you can now get it for only 29.99. CLICK HERE TO BUY NOW!. PLEASE NOTE: This is a downloadable PDF. You will not receive a physical product. Want to see a sneak peek before you buy the full kit? 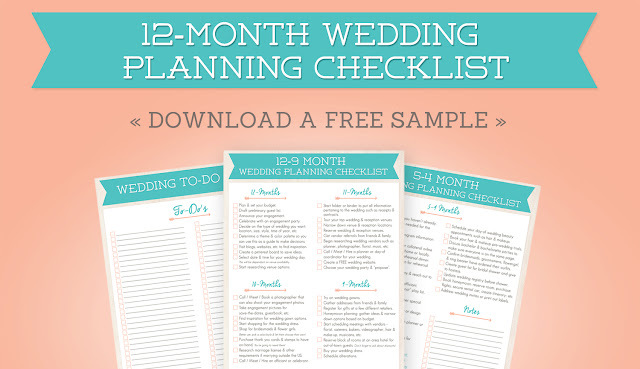 You can immediately download the FREE 12-Month Wedding Planning Checklist (HERE) to help jump start your wedding planning process. It's my gift to you for subscribing to the Weekly Wander! Wondering where to start with the planning process? The "Design Your Dream Wedding" Planner is available to help make the wedding planning process less stressful and more awesome! Get it for only 29.99. CLICK HERE TO BUY NOW!. Are you ready to START THE WEDDING PLANNING ADVENTURE? 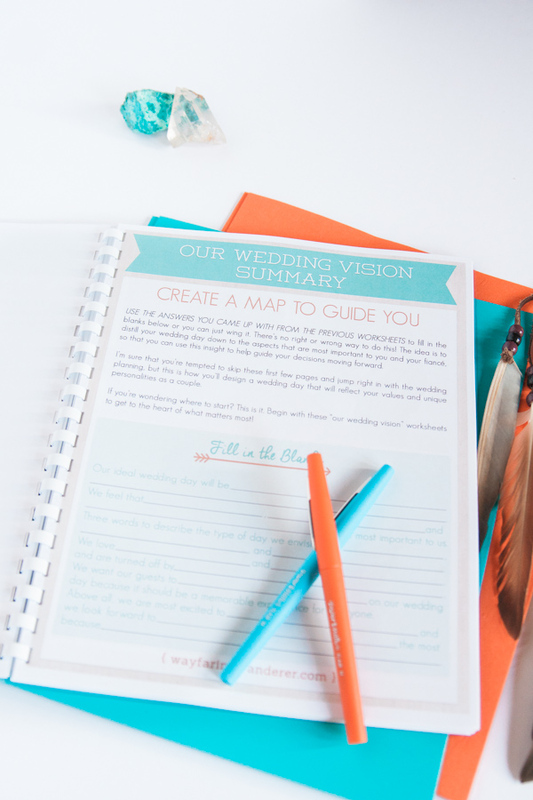 The "Design Your Dream Wedding Planning Kit" is a road map that will help you throughout the wedding planning process so that you travel down the path of least resistance. If you can believe it, my wedding was planned in less than three weeks with a $1,000 budget for 75 guests! Using my years of wedding photography experience, knowledge gained from planning our budget wedding, and my graphic design background, I wanted to create a helpful resource using beautiful imagery coupled with practical advice and easy-to-follow worksheets to streamline the process and make it less stressful and more awesome! If you're not sure where to start with your wedding day planning or what to do next, this will be just what you're looking for! CLICK HERE TO PURCHASE. 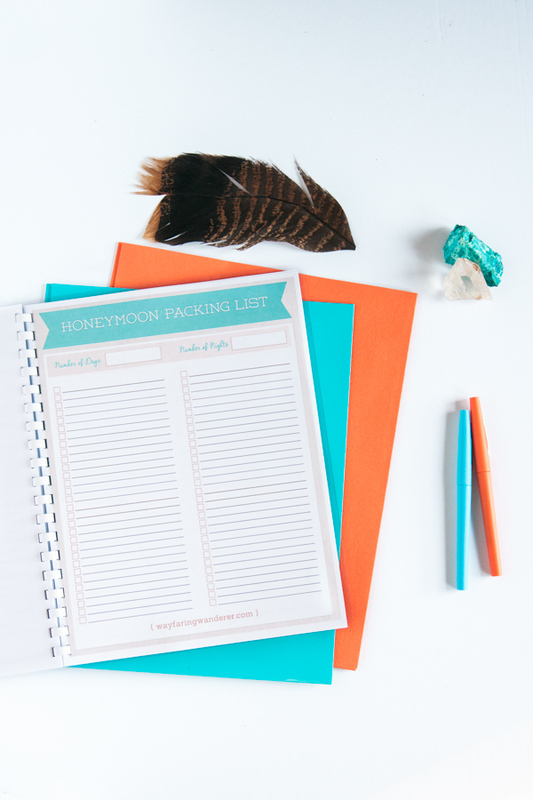 DOWNLOAD 15 PAGES OF THE PLANNER NOW! 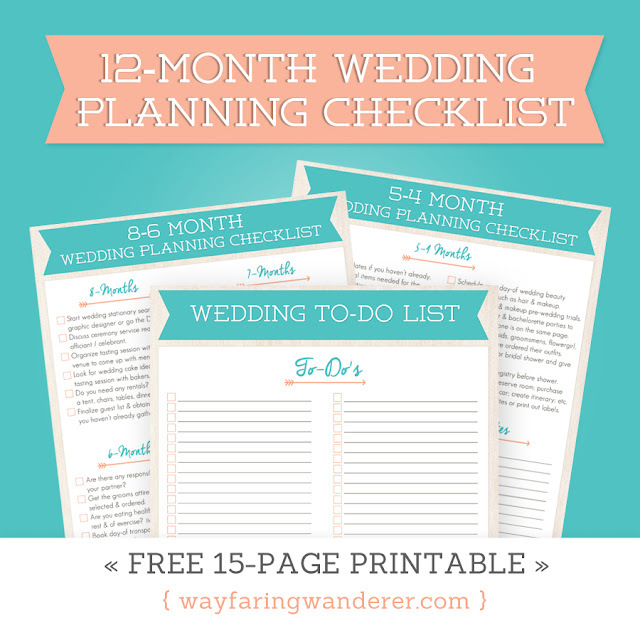 You can immediately download the FREE 12-Month Wedding Planning Checklist (HERE) to help jump start your wedding planning process. It's my gift to you for subscribing to the Weekly Wander! CLICK HERE TO BUY THE FULL PLANNER. Know any friends or family that are getting married soon? Share this with them, they'll be glad you did!